On October 1st, the Court of Appeals for the Federal Circuit heard oral arguments in an appeal of a patent infringement case decided in favor of Sprint Communications and against Time Warner Cable. The appeal to arose from a jury verdict in the District of Kansas, which awarded Sprint reasonable royalty damages of $139.8 million for Time Warner’s infringement of patents related to voice over Internet protocol (VoIP) technologies developed by Sprint. John O’Quinn, partner at Kirkland & Ellis and counsel representing Time Warner at the Federal Circuit, argued that the entire verdict should be vacated, not just the damages portion, because the court allowed the jury to use a 2007 verdict granted to Sprint against Vonage on the same asserted patents as evidence to determine the damages award. That verdict involved the use of a 25 percent rule of thumb for determining a royalty rate, a rule that the Federal Circuit has subsequently held to be inappropriate in a landmark ruling in 2011. It is this holding in Uniloc USA that O’Quinn was pointing to when making the argument that the 2007 verdict was improperly submitted to the jury for consideration. “Respectfully, this is a wolf in wolf’s clothing,” O’Quinn said, adding that there was too much risk that the Vonage verdict could influence the Time Warner jury despite the erroneous and inadmissible nature of the 25 percent rule. O’Quinn reiterated his stance that the admission of the Vonage verdict raised serious due process concerns that could result in verdicts from one jurisdiction being applied against defendants in a different jurisdiction. Along with the Vonage verdict, the jury in the Kansas infringement trial also relied upon Sprint licenses with VoiceGlo and Paetec to determine the reasonable royalty award that Time Warner would have agreed to after a hypothetical negotiation. J. Michael Jakes, partner at Finnegan and counsel representing Sprint at the Federal Circuit, argued that the district court carefully cabined the Vonage verdict with three limiting instructions at Time Warner’s request. “The Vonage verdict is not as central as it was made out to be,” Jakes said. Judge Chen, playing devils advocate to the position he seemed to raise earlier with O’Quinn, pointed out that, if the Vonage verdict was simply a “data point in a constellation of data points,” and not central to the jury decision it was strange that the Time Warner jury came to the same $1.37 per subscriber royalty base that was also determined by the Vonage jury. Jakes countered that this royalty base was actually on the low end of what the jury could have awarded based on various apportionment figures submitted by Sprint’s expert witness; the base could have been closer to $12 per subscriber if apportioning expected profits or somewhere between $1.84 and $4 per subscriber if looking at an actual negotiation for services, Jakes explained. Written description issues were also discussed by counsel for both parties. O’Quinn argued that the broadband patents asserted in the case by Sprint disclose the use of an asynchronous transfer mode (ATM) interwork multiplexer would not be understood by one of skill in the art to be used for anything other than translating to or from an ATM network. “The idea of one that doesn’t convert to that but instead converts to or from IP is frankly nonsense,” O’Quinn said, adding that this posed an enablement problem. Judge William Bryson asked Jakes whether it would make any difference to the verdict if the broadband claims didn’t survive the written description challenge. Jakes answered that it wouldn’t make a difference for two reasons. 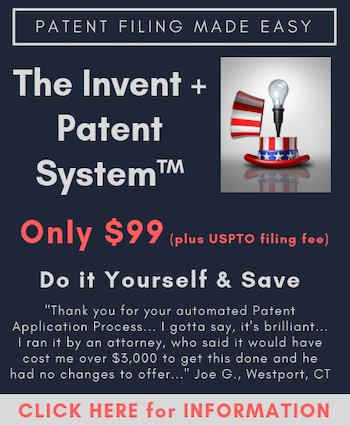 First, a technical expert in the case testified that any of the asserted claims were infringed when calls were made outbound or inbound to a public switched telephone network (PSTM), and second, Time Warner did not propose infringement damages on a patent-by-patent basis and that it was too late at this stage to parse out the damages in that way rather than the lump sum found by the jury. The case is now submitted and it will likely be some months before a decision is reached. Wouldn’t it be quite ironic, if the Judge’s review set a higher presumed reasonable royalty rate of somewhere between the $1.84 and 4.00 per customer figure argued by Plaintiff’s counsel O’Quinn? While perhaps not likely, the reopening of the damages and award question does reach this possibility in the scope of its potential outcome.